St Benedict’s provides a well-rounded, seamless education which can begin in our Nursery and continue to the end of Sixth Form. The School is committed to supporting all children to develop their full potential, by treating them as individuals, and catering for their particular needs and talents at every stage. Inspirational teaching, tutorial guidance and exceptional pastoral care are at the heart of the education we offer. We have a proud academic record of outstanding examination results and our pupils gain places at the UK’s top universities. In addition to academic success, St Benedict’s recognises the importance of educating the whole person, by encouraging principled leadership, resilience and character in our pupils, and by promoting the Christian values of integrity, fairness and generosity. This holistic approach to education is a hallmark of the School, informed by the 1500 year-old Rule of St Benedict, and there could be no better way of equipping young people for the future. At St Benedict’s, there is a vital focus on personal development, through our outstanding co-curricular programme. St Benedict’s has a distinguished sporting tradition: while many boys and girls train and compete at county and national level, everyone is encouraged to enjoy sport, teamwork and fitness. Music and Drama are both excellent; there is a strong choral tradition, renowned Abbey Choir and many instrumental ensembles. Termly drama productions have recently included Amadeus, West Side Story and A Midsummer Night’s Dream. The Junior School and Nursery provide a supportive and vibrant environment in which to learn. 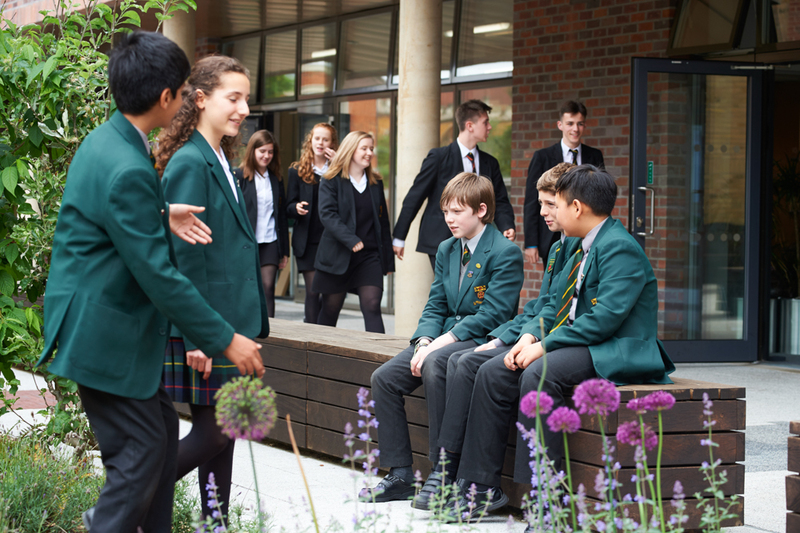 Sharing excellent facilities with the Senior School, and a carefully planned induction programme, helps to ease the transition at 11+ to the Senior School, which is on the same site. Recent developments include an impressive new Sixth Form Centre and Art Department, which opened in 2016. A new Nursery and Pre-Prep Department will open in September 2017, providing our youngest pupils with a first-rate learning environment. St Benedict’s School is unique. Come and visit, and see what we have to offer. You can be sure of a warm Benedictine welcome.